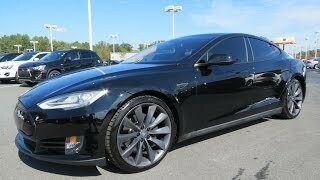 The specs and features of the 2013 Tesla Model S were released last year in December. 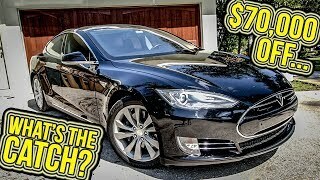 To many, this latest 2013 Model S is the best to have come out of Tesla’s stable. The car has everything that a modern day environment friendly four-wheeler should have. It is luxurious, stylish and at the same time extremely environment friendly, capable of going 300 miles on a full-charge of its battery. The one which was released a few months back had a 40kWh battery pack. But this pack will not be available when the vehicle is ultimately launched. The launched models will be equipped with a 85 kWh battery pack which will run for 300 miles on a full charge. There will be two other versions equipped with a 60 kWh and a 40 kWh battery pack doing 230 miles and 160 miles respectively. As far as acceleration figures are concerned, the 85 kWh Model S will be reaching the speed of 60mph from zero in a matter of just 5.6 seconds, while the 60 kWh and 40 kWh one will reach the same speed in 5.9 and 6.5 seconds. An upgrade package known as Model S Performance, carbon fiber has been used extensively to lower the weight of the car and on the inside luxury and comfort has been enhanced by the use of Nappa leather seats with Alcantara accents. Other options include a panoramic sunroof, exterior and interior colors, and much more. 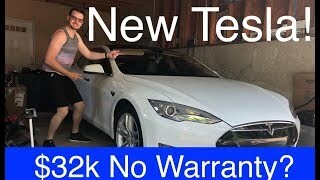 The price of the 2013 Tesla Model S starts from $57,400 and is backed by an 8 year long warranty or 100,000 miles for the base model, 125,000 miles for the 60kWh version and unlimited number of miles for a span of 5 years on the 85 kWh model. The two companies first established a leasing program for the Tesla Roadster and Roadster Sport across Europe in July of last year. The Roadster leasing program is available in Germany, France, Italy, Spain, Belgium and the Netherlands. The Model S leasing program extends this partnership into several other countries including Sweden, Portugal and Poland. Model S is the world’s first premium electric sedan. It seats five adults and two children. With no internal combustion engine or transmission tunnel, the interior of the car has class-leading cargo space, including a second trunk under the hood. The centerpiece of the interior is a 17” touchscreen with wireless connectivity for streaming radio, web browsing and navigation. Model S comes with three battery pack options, 40kWh, 60kWh or 85kWh. It can be recharged using any conventional outlet and is capable of a fast charge of 45 minutes. Equipped with Tesla’s advanced electric power train, Model S provides instant torque and smooth acceleration from 0-60 in less than six seconds. The aluminum body is engineered for superior handling, safety and efficiency. With the most energy dense battery pack in the industry, and best-in-class aerodynamics, Model S has the longest range of any electric car in the world, up to 300 miles on a single charge. Tesla’s goal is to accelerate the world’s transition to electric mobility with a full range of increasingly affordable electric cars. Palo Alto, California-based Tesla designs and manufactures EVs and EV powertrain components. 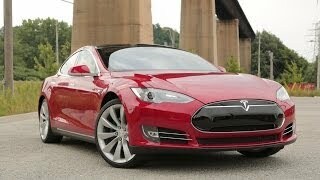 Tesla has delivered more than 2,000 Roadsters, the world’s first electric sports car, to customers worldwide. Model S, the first premium sedan to be built from the ground up as an electric vehicle, goes on the market in mid-2012.